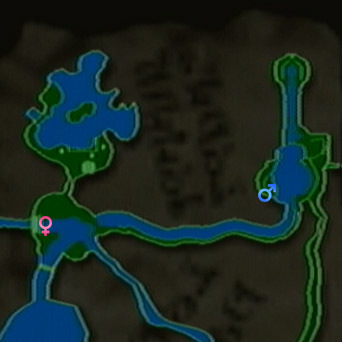 Here are the locations of all 24 Golden Bugs found within Twilight Princess, which can be given to Agitha in Agitha's Castle in Castle Town. Go to your menu screen while in the game and select the Golden Bug icon. Your screen should look as follows, so click the bug you're missing to get started! 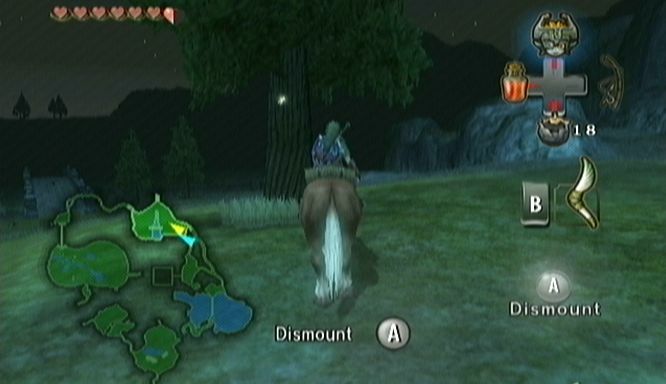 For full context as to when you can get these in your quest, be sure to check out our Twilight Princess Walkthrough. Click a bug you don't have yet! Once you enter Hyrule Field from the Faron Woods, follow the path straight northward. 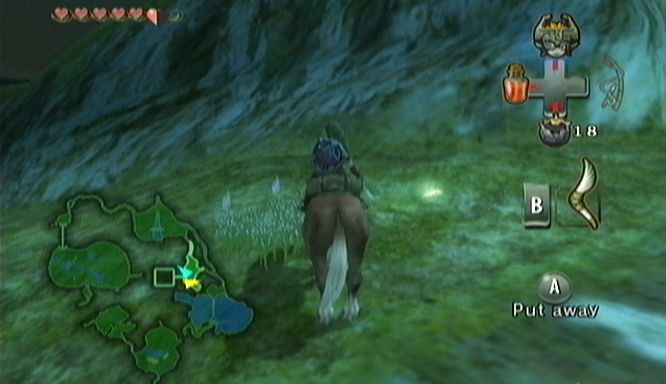 As the path beings gaining elevation, look to your right (Wii). The golden bug is on the stump of the nearby tree that is on the lower ground. 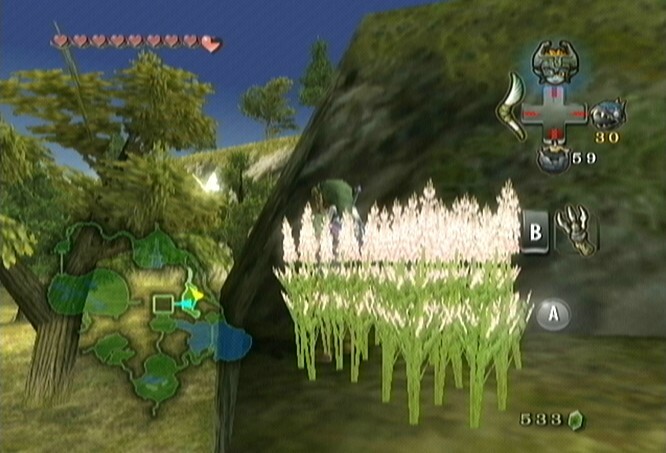 Follow the path northward that is on the west side of the field (Wii). Stay along the path until it opens up on the west side. Turn around and you'll see several trees on the higher ledge, one of which has the golden bug. Use the boomerang to bring it over. 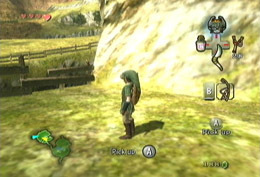 Just southeast (Wii) of the bridge that is in the center of the gorge. The bug is laying on the ground and can be hard to see while the sun is out. At the south end of the field, just west (Wii) of the gorge. 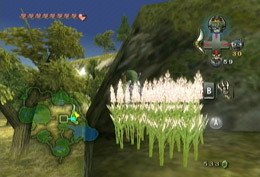 There is a triangle of trees with high grass. 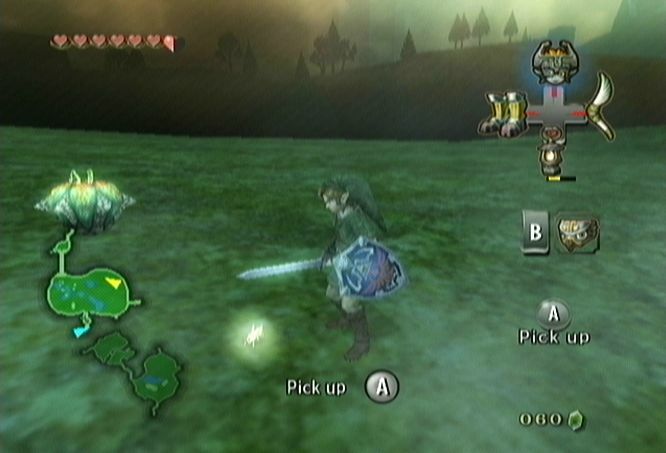 Slash away at the grass and you'll find the golden bug on the ground. 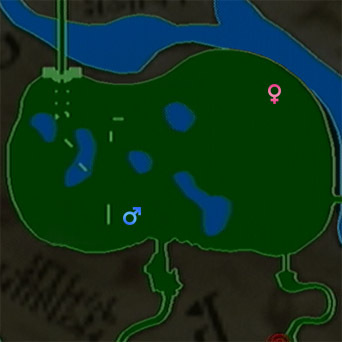 The Male Ant is located at the northwest corner (Wii) of the Kakariko Graveyard. 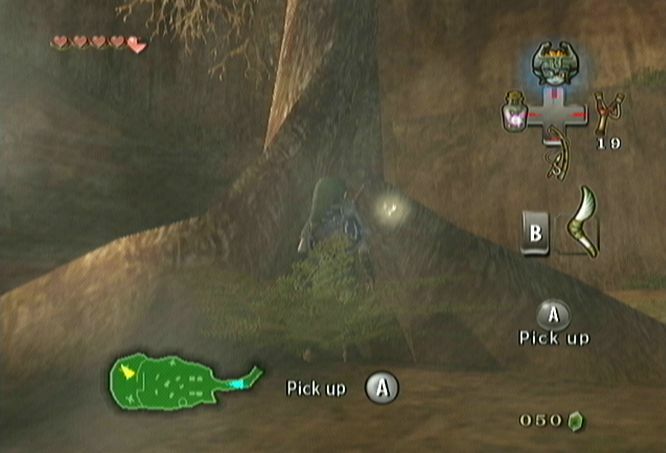 It is found at the bottom of the tree trunk. 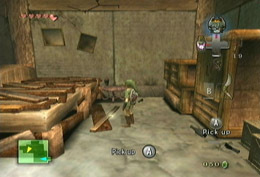 The Female Ant is found in the center of the room of an abandoned house in the west side (Wii) of Kakariko Village. 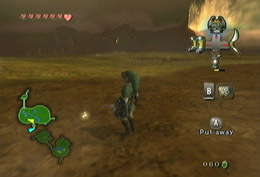 Enter Hyrule Field from Kakariko Village and walk along the path. 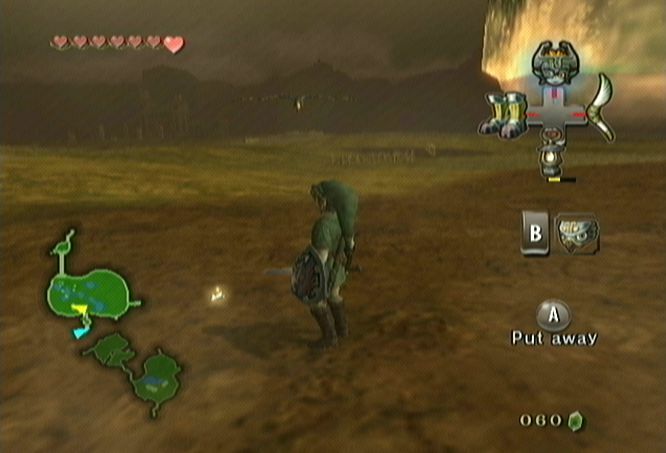 Once it opens up and there are leevers, turn to the west (Wii) and the golden bug is on the ground. 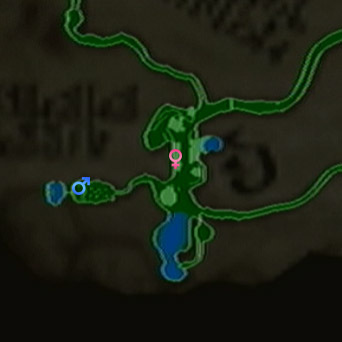 Located at the northeast corner (Wii) of this area of Hyrule Field. 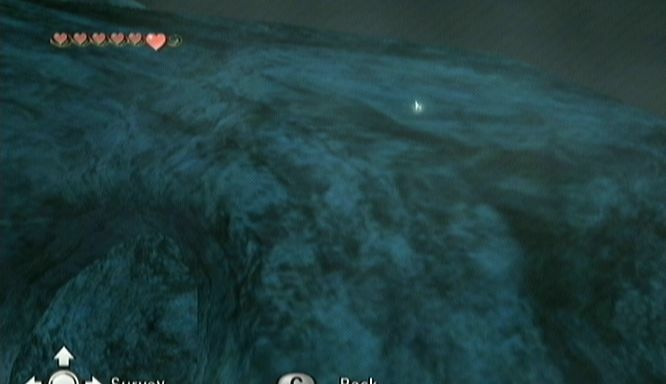 It just is on the ground in the middle of the area and is surrounded by several Leevers. The bug is at the southern end of the Bridge of Eldin. 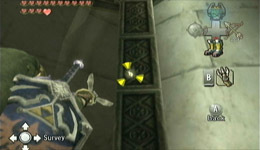 As you enter the bridge from Hyrule Field, the bug is on the wall on the left (Wii). 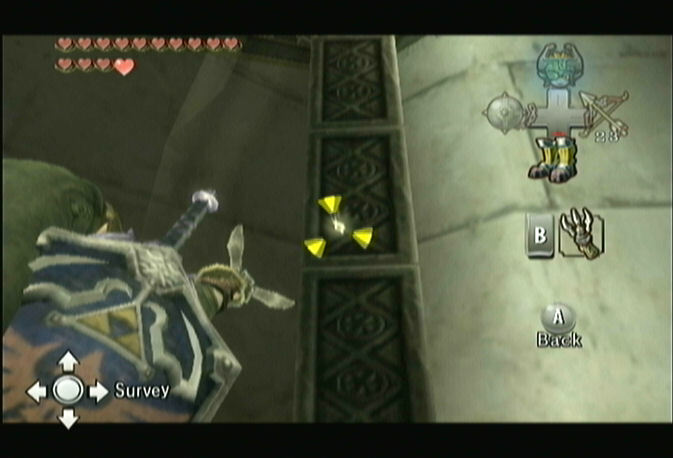 Use the boomerang to pull it down. At the northern end of the Bridge of Eldin turn to the west (Wii). On the wall in the distance you'll see the small sparkle. Use the boomerang to pull over the female phasmid. Alternatively, you can wait until you have the Clawshot to get on top of the platform and get closer. The bug is on an arch at the north end of the Great Bridge of Hylia. 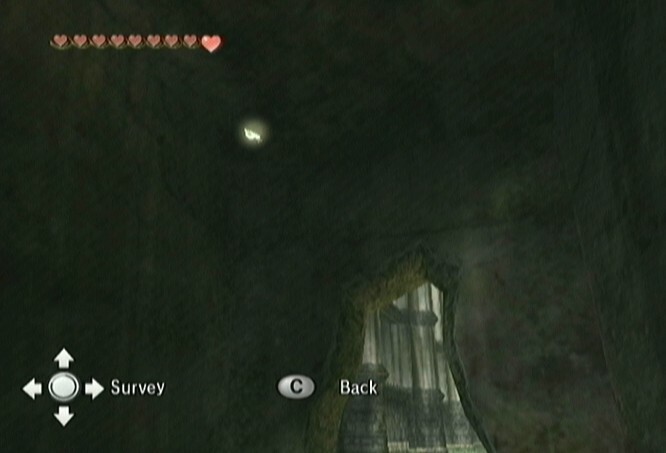 It circles around the arch itself and is occasionally on the other side as well, so look carefully and use your ears to hear the chiming "golden sound." 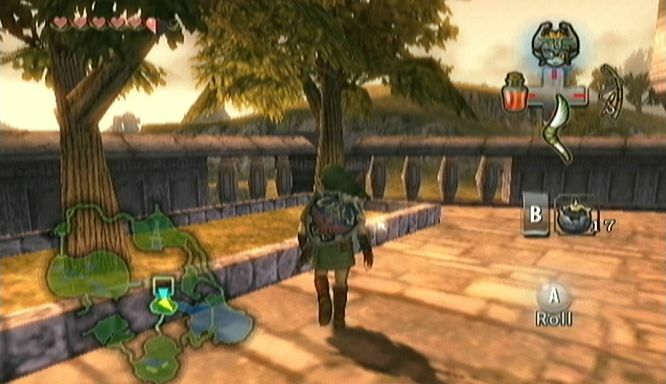 The bug is at the south end of the Great Bridge of Hylia underneath the giant, ancient tree, along the wall. 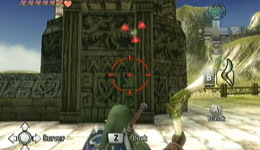 The bug is along the wall on the west side (Wii) of Zora's Domain. 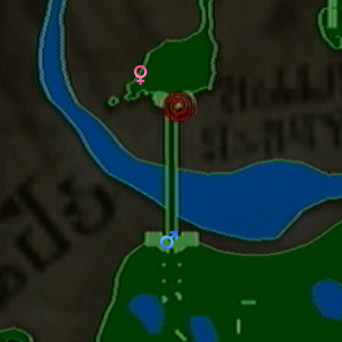 The bug is floating over the river, right near the small bridge next to Iza's Rapid Ride shop. Use the Gale Boomerang to grab it. 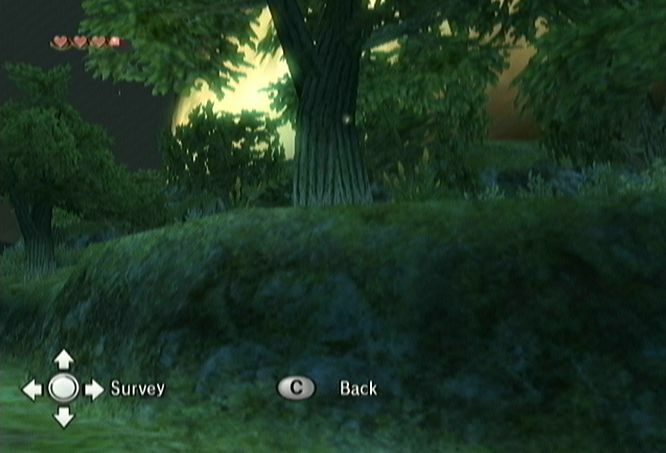 From the east gate (Wii), follow the path south to a patch of small bushes. 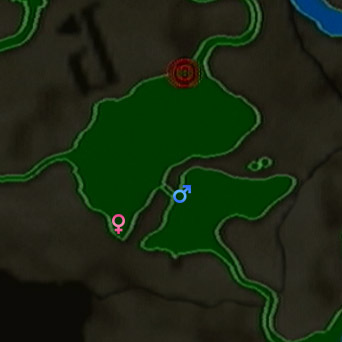 The male butterfly is flying around this area. In the east part (Wii) of Hyrule Field, near the portal, walk to the northeast (Wii) until you hit the wall. Look up to find a small ledge with flowery bushes where you can find the Female Butterfly. 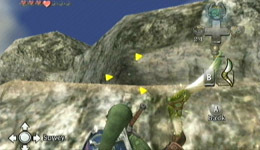 You can use the Clawshot on the nearby vines to climb up, or use the Gale Boomerang if you're patient and wait for it to fly over the ledge. Enter north Hyrule Field from the east gate (Wii). Follow the path until it splits. In between the split paths, the golden bug can be seen on a tree trunk. In the higher grounds of north Hyrule Field there is a rocky path. Take the south path and you'll see tektites hopping around. 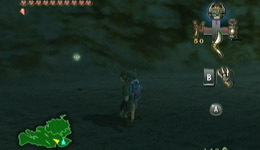 Along the north wall is a cave (blocked by a large boulder). 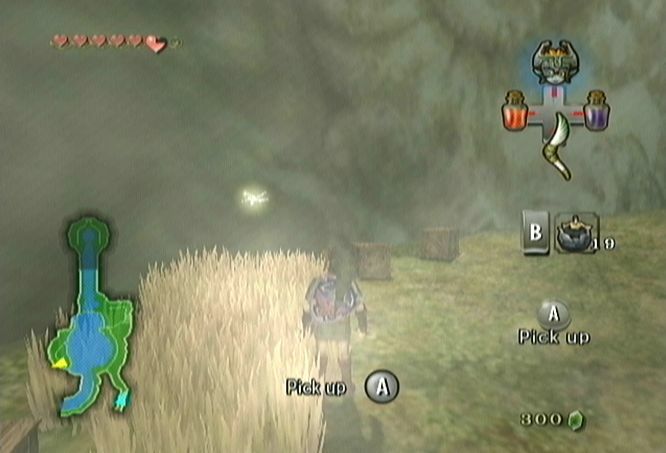 Just above it and to the right (Wii) the golden bug can be seen. Exit Castle Town through the south gate. 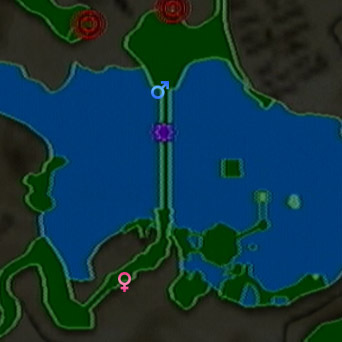 In the west side (Wii) or east side (GameCube) of the field area a mesa is sticking up from the ground. 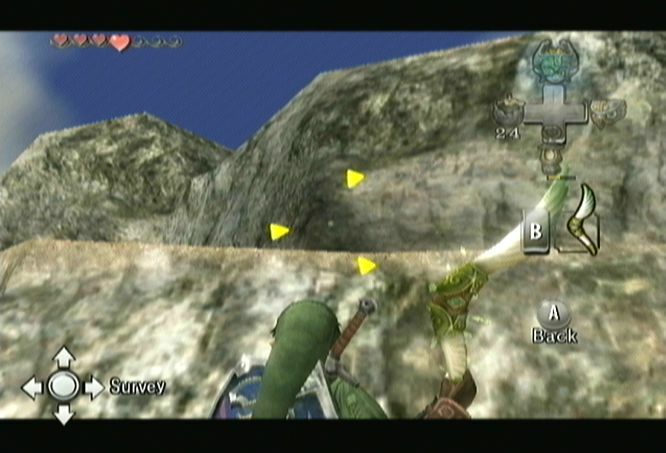 The bug sticks to one of the sides of the mesa. Exit Castle Town through the south gate. 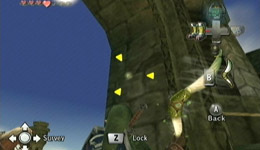 Cross the bridge and turn to the left (Wii) or right (GameCube). 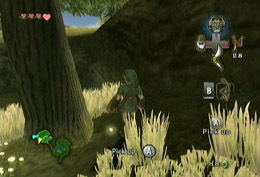 Walk down the steps and near the plants the ladybug will be flying around. 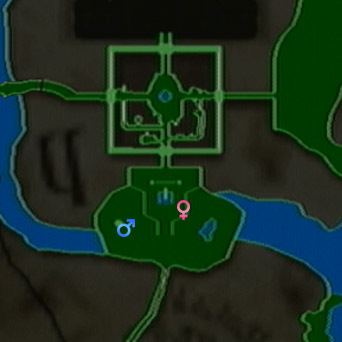 At the far south central portion of the Gerudo Desert, there is a gate that Link cannot pass. 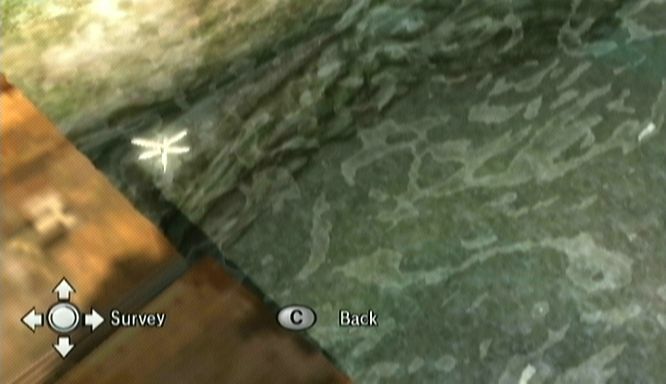 Just northeast (Wii) or northwest (GameCube) of this, the male dayfly can be seen floating around. It is best to find it at night time when it stands out. 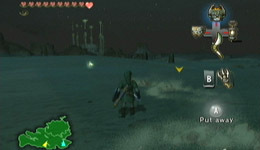 In the southern portion of the Gerudo Desert, a little to the west of the warp portal on Gerudo Mesa (Wii). 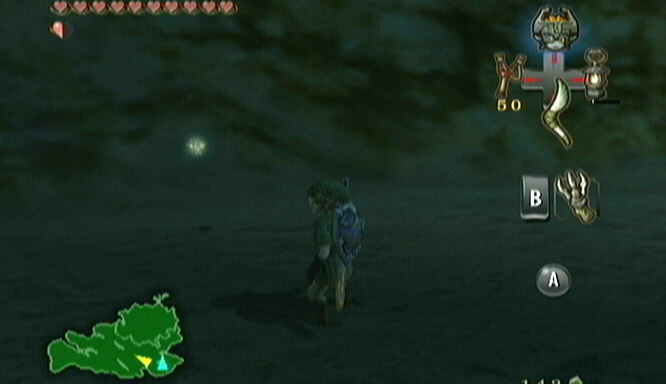 There are two sand trenches here where the Golden Bug can be found flying around. 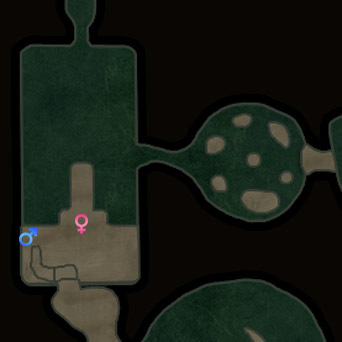 It has been seen in both trenches, so check both of them. 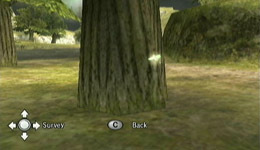 In the Sacred Grove, head through the passage to the southwest (Wii) or southeast (GameCube). Look at the wall to see the Male Snail. 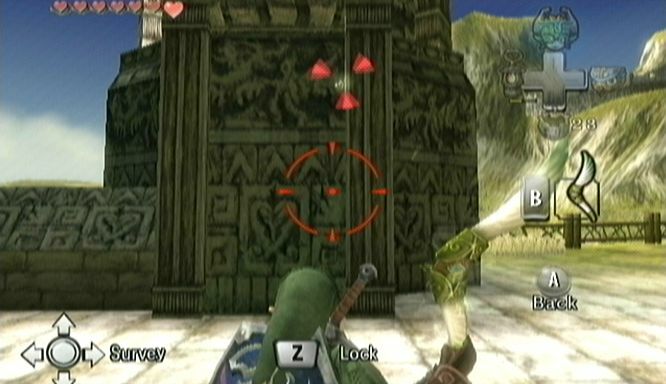 Once you have returned to the Sacred Grove for a second time (and have that Warp Location), you will be able to enter the door on the upper ledge, which leads to the entrance of the Temple of Time. 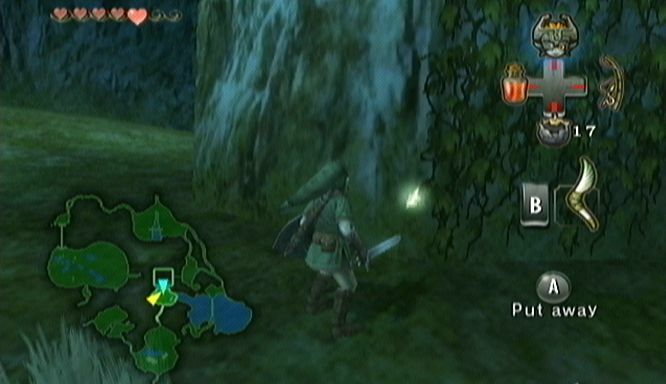 Inside, make a U turn off to the left (Wii) or right (GameCube) to find this Golden Bug against the wall. In the southeast corner of Castle Town (Wii) there is a "shop" of sorts known as Agitha's Castle. Inside, a young girl named Agitha claims to be the princess of the bug kingdom and has invited 24 Golden Bugs to come to her ball. They have apparently become lost along the way, and if you can bring them to her, she'll reward you with various prizes. 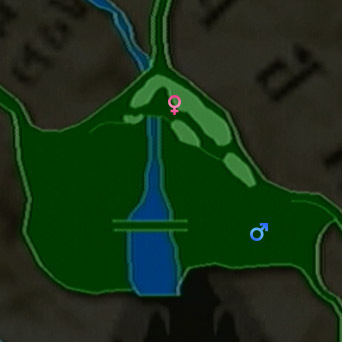 There is one male and one female of each type of bug in each area. 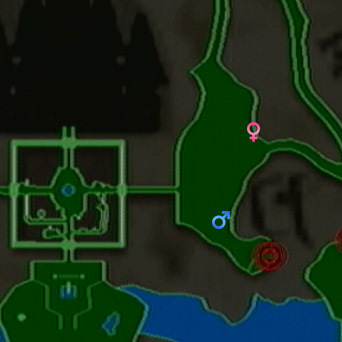 By giving Agitha one bug of a pair, she'll give you 50 Rupees, while completing the pair (both the male and female of that type) will get you 100 Rupees. 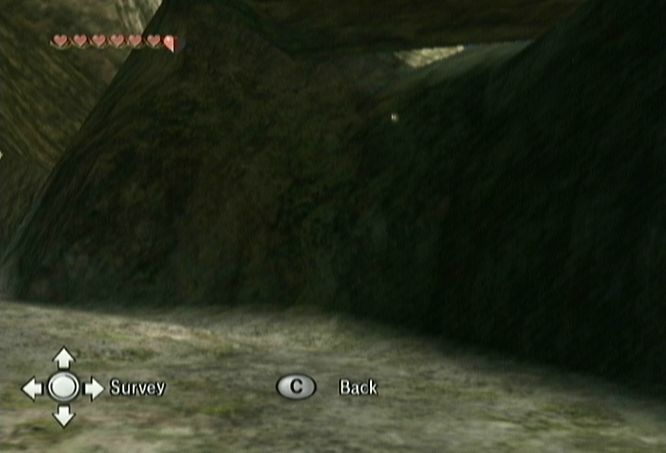 This comes in handy for other side quests that require donating large sums of money. 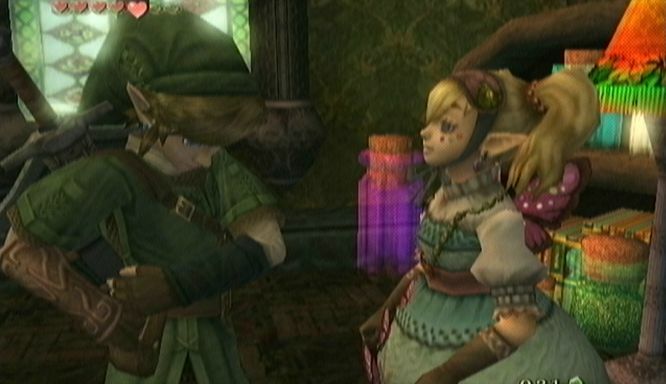 Additionally, the first bug you give her, she'll reward you with the Big Wallet, allowing you to carry up to 600 Rupees. Once you have managed to give her all 24 Golden Bugs, she will reward you with the Giant Wallet, allowing you to carry up to 1,000 Rupees. This comes in very handy while using the Magic Armor. 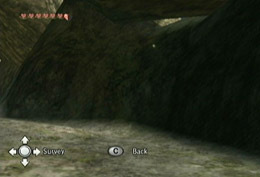 For more detailed information about Agitha, check out our Twilight Princess Characters Guide.